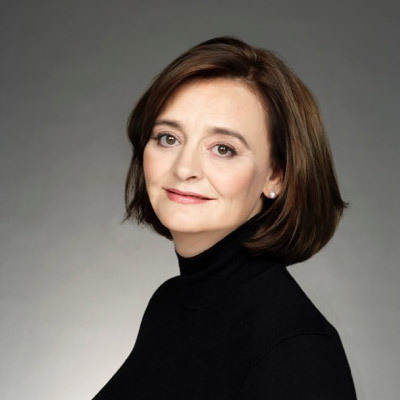 Wife of former British Prime Minister Tony Blair, leading lawyer and committed campaigner for women's rights, Cherie set up the Cherie Blair Foundation for Women website » in 2008 to help women build small and growing businesses in developing and emerging markets so that they can contribute to their economies and have a stronger voice in their societies. As well as fighting for human rights in her professional career, Cherie is an active campaigner on equality and human rights issues. In addition to founding her own charity, Cherie remains closely involved with charities with a special emphasis on women and children. She is a member of the International Center for Research on Women's Leadership Council, Ambassador for the GSMA mWomen Programme, Honorary Vice President of Barnados, President of the Loomba Foundation, Ambassador for Scope, Trustee of Africa Justice Foundation and Patron of a number of charities, including Breast Cancer Care and SolarAid. Cherie is also Vice-Chair of the US Secretary of State's International Council for Women's Business Leadership and Honorary Chair of the World Justice Project. Cherie was an Ambassador for London 2012, supporting the bid to host the Olympics in the UK and was awarded a CBE in the 2013 New Year's Honours List for services to women's issues and to charity in the UK and Overseas. Mary earned the trust not only of the audience at home but the celebrities she interviewed as well. Personalities would often tell her, “Now, I have arrived because Mary Hart has interviewed me.” Her list of subjects include nearly every major film, television and music star. They include celebrities and political figures such as George Clooney, Julia Roberts, Leonardo DiCaprio, Meryl Streep, Denzel Washington, Angelina Jolie, Brad Pitt, Sandra Bullock, Matthew McConaughey, Elizabeth Taylor, Frank Sinatra, the surviving Beatle members, Michael Jackson, Lady Diana and two Presidents named Bush and Obama. Mary was inducted into the Broadcasting and Cable Hall of Fame in 1999 and has been honored by numerous organizations including the American Women in Radio and Television and the National Association of Broadcasters Education Foundation. She is listed in the Guinness World Record as the longest serving entertainment news host. She serves on the Board of Trustees for Children’s Hospital Los Angeles and is an ambassador for Childhelp USA, an organization that combats child abuse across America. She is also on the Board of Trustees for Museum of Tolerance, Simon Wiesenthal Center as well as The Israel Project based in Washington, D. C.
A native of South Dakota, Mary spent part of her childhood in Denmark, and speaks Danish and Swedish. Her broadcast career began in South Dakota in the 1970s. She moved to Los Angeles in 1979 and found work quickly on soap operas and commercials before landing the job as co-host of PM Magazine. That led to co-hosting Regis Philbin’s NBC talk show in 1981 that was cancelled after four months. Her next job was to report on show business news and that would make her fixture to stay in, American media. Mary and her husband, businessman Burt Sugarman live in Los Angeles and have a son AJ.